2 Beds 2 Baths 1,779 Sq. ft. Sunny & Impeccable townhome in very well-maintained community! Open floorplan with SS/corian kitchen overlooking spacious living/dining room w/perfectly maintained hardwood floors. Adjacent balcony for grilling. 2 spacious bedrooms and baths. Main level features a den/family room with huge walk-in closet and attached garage. Lower level den can be converted to 3rd bedroom. 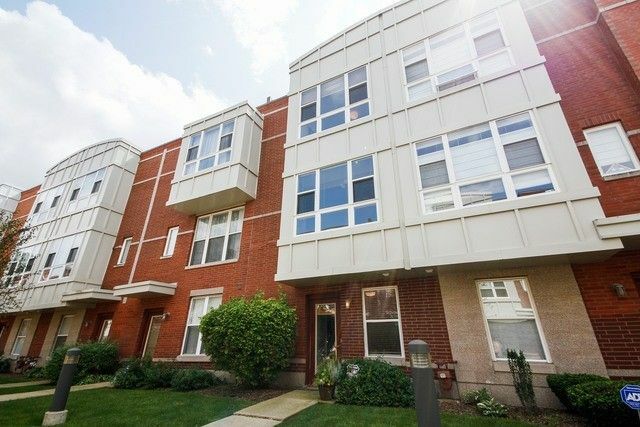 Easy access to CTA/Metra stop and I90/94. Stunning design that shows like new. Very low assessments, have your own home for what it costs to rent! Recently opened charter school 1 block away. FHA Approved!Great storage and pets ok!